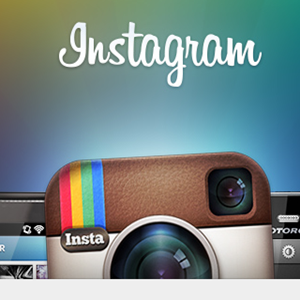 If you have an Android or an iOS device, there is a pretty good chance it has Instagram installed. I know of people who had a passing interest in photography, falling into the ‘Instagram-fever’ and snapping everything from the soles of their feet to the nearby lamp post. There’s something to be said about the Instagram effect. 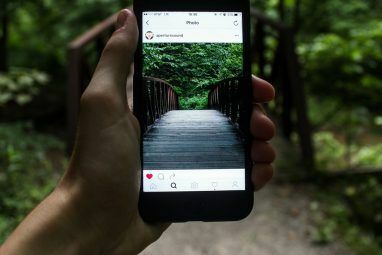 The effect just heightened with Facebook’s offer of $1 billion for Instagram, and Instagram coming to the Android platform. Make iPhone, iPad, posters (awaited) and computer wallpapers (awaited) with this almost ‘instant’ online service. You can search by tag, choose your own feed, or recent popular photos, and pull them all together into a ‘wallgram’. InstaWallpaper gives you the option of choosing screen resolutions. The resolutions on offer cover most that exist today, from your iPhone to the desktop. Search by user ID, tags, popularity, category etc. Place them in an order and layout before you download it for decoration. InstaWallpaper gives you InstaBG and InstaCover to beautify your Twitter background and Facebook cover too. A picture can say a thousand words, but thanks to this app, you can make them say a bit more. CaptaGram can help turn your Instagram photos (or any Instagram photo) into a funny meme. It is as simple as picking a photo and thinking up a caption to go with it. You can write two captions, give them a color, and repost them on Instagram. Great photos can break barriers and make friends out of strangers. As we said before, Instagram is a community after all. The commenting system on Instagram is fine, but it is not interactive. InstaDM gives you an iOS app and also a web app to sign-in and chat with the Instagram community. Search for an Instagram user you want to speak to, and send them direct messages. You, of course, need to be an Instagram user to be able to log-in and use InstaDM. I prefer the iOS version over the web one, but it’s good to know that you have options. Instagramers are everywhere. From commenting to direct messaging, and then to finally meeting up face to face is a natural progression. Not to mention, a really great way to make a new circle of friends. Meetups lists 1413 Instagram communities in 1278 cities around the world. 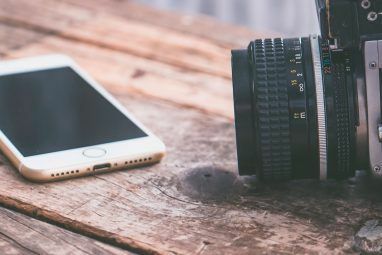 You can find some great tips on blogs like Instagramer.com on how to organize Instameets and the Instagram blog itself. Note: Instameets is not to be confused with an upcoming live social video chatting platform of the same name. Think of an application that’s popular worldwide and you can be pretty sure its footprints will be marked out in a map somewhere. You can search by tags, but a mashup on a map gives you more of a ‘worldwide view’. It is simply an app that arranges popular Instagram geo-coded photos on a map. 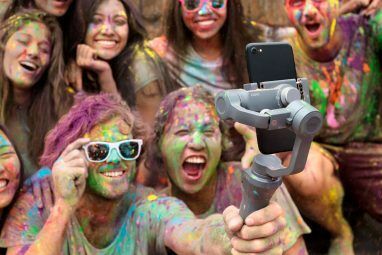 You can also allow the app to track your present location and gather the photos that were possibly clicked around you. Drag, pan, and zoom the map around to catch the uploads. Log-in to make it more useful. A little feature is that you can see the mention of the particular filter that has been used to click a photo. Mapstagram is very similar to InstaEarth. Here too, you can navigate and explore Instagram photos on a global map layout, showing photos on the map in the location they were taken. The application is U.S. specific and that too a selected number of cities. As the site says – it is subscribed to the center of each city with a 5km radius, so your photo won’t show if you’re not within the boundaries. If you have absolutely reached the last level of boredom on Instagram, turn it into a game. Last year, Instagram went hunting for brains with the Instagram Engineering Challenge: The Unshredder. That sounds too advanced for the average user, but they can play a few time-wasters other than the brain twister above. CircleGram is a free game for iPhone and iPad based on Instagram photos that’s available on the App Store. You have to unscramble jumbled Instagram photos by turning the interlocking circles and discover new photos and new photographers in the process while challenging your right and left brain. The game has four levels for you to conquer in order to get on the leaderboard. Instagram photos get paired, and it calls for your vote. Sound boring? Actually it isn’t because Instawar serves up really nice photos that are similar. If you find a pair of photos that work well together and somehow match to tell a little story, click on Make a pair. Instawar combines them into one photo and then you can share the combo-pair on their diptych tumbler blog. I haven’t quite covered the real world applications of Instagram which help you make posters, refrigerator door magnets, T-Shirt prints, postcards etc. because being ‘physical products’ they aren’t free. So, if you are bored with just putting on filters and clicking photos, what other uses can you come up with for Instagram? Have you used your Instagram photos in some way that takes it beyond just click-happy photosharing? Tell us about your Instagram experience. wondered what more to do?????????????? I participated in an Instameet in my area. Really lots of fun. Really? What did you all discuss or chat about? It must have been informal. Did you go on a photowalk? Yeah, it was just cool meet up with a small group people and take photos with our iPhones and then post them on Instagram.